Brain is one of the most important organs of the human body, but our lifestyle choices have a profound impact on our brain health. 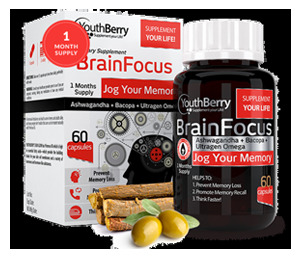 YouthBerry’s Brain Health range aids in promoting a sharp and alert brain thereby keeping you mentally fit and young. How would like to naturally enhance your memory? Improve concentration? Increase Mental Focus and Boost Attention &amp;amp; Energy? Naturally? Yes! 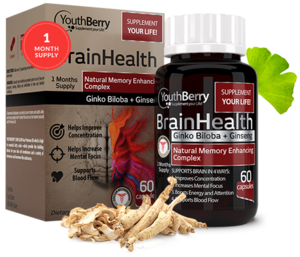 YouthBerry’s Brain Health is an all-natural memory enhancing complex with a proprietary blend of Ginko Biloba + Ginseng and is fortified with vitamins and minerals. It improves thinking, concentration and memory and physical endurance. A sure shot formula to jog your memory! Think faster! Promote Memory Recall. 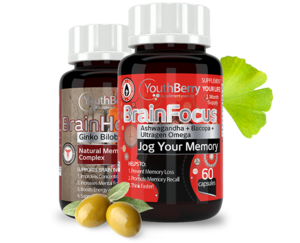 YouthBerry’s Brain Focus is a proprietary blend of Ultragen Omega + Ashwagandha +Bacopa complex. It is known to counteract the negative effects of Stress, increase resistance to fatigue, promote focus and concentration as well as improve sleep quality.